I have come to a frightening conclusion. I am the decisive element on the field. It is my personal approach that creates the climate. It is my daily mood that makes the weather. As a coach, I possess tremendous power to make an athlete's life miserable or joyous. I can be the tool of torture or an instrument of inspiration. I can humiliate or humor, hurt, or heal. In all situations, it is my response that decides whether a crisis will be escalated or de-escalated and an athlete humanized or de-humanized. PLEASE BE ADVISED THAT THE GALS QUAD DOES NOT ALLOW DOGS INSIDE THE FACILITY. WE HAVE FAR TOO MANY YOUNG CHILDREN WHO ARE AFRAID OF DOGS AND OTHERS WHO ARE ALLERGIC TO DOGS. THE CITY HAS POSTED THE NO DOGS SIGN AT THE ENTRANCES. PLEASE LEAVE YOUR DOGS (AND ANY OTHER PETS) AT HOME. ALSO, THERE ARE NO BIKES, SKATEBOARDS, ROLLER SKATES, ROLLER BLADES, LONG BOARDS, OR SCOOTERS, ETC. ALLOWED INSIDE THE QUAD. TOO MANY YOUNG CHILDREN ARE GETTING RUN IN TO. YOU ARE WELCOME TO USE THE SKATE PARK AND/OR THE BMX TRACK (IF NOT IN USE) BUT THESE ITEMS MUST NOT BE INSIDE THE QUAD. CHECK OUT THE TOURNAMENT PHOTOS ON THE 'ALBUMS' PAGE. THE GALS BOARD OF DIRECTORS WISHES TO THANK ALL THE PARTICIPANTS OF THE 2010 GALS INVITATIONAL. GALS WISHES TO THANK ALL THE PARTICIPANTS IN THE IDAHO STATE J.O. 10U AND 18U TOURNAMENTS HELD IN CALDWELL, JULY 9 - 11. LOOK FOR PHOTOS (NON-PROFESSIONAL) ON THE ALBUMS PAGE OF THIS WEBSITE TO BE POSTED VERY SOON. THANK YOU. The MLB Pitch, Hit, & Run Sectional Competition was held at the Boise Hawks Stadium on Saturday, June 5, 2010. GALS is extremely proud to announce that the Girls Softball winners from 3 of the 4 age divisions are from the Local Competition hosted by GALS and all play in the GALS League. All three now have the opportunity to compete at the next level held in Seattle. CHECK OUT THE 'ALBUMS' PAGE FOR TOURNAMENT PHOTOS. THE GALS BOARD OF DIRECTORS WISHES TO THANK ALL THE PARTICIPANTS, COACHES, UMPIRES, TEAM SPONSORS, PARENTS, & VOLUNTEERS FOR ANOTHER SUCCESSFUL SOFTBALL SEASON. GOOD LUCK TO ALL TEAMS GOING TO THE IDAHO J.O. STATE TOURNAMENT AND WE LOOK FORWARD TO SEEING YOU ALL NEXT YEAR!! TO LOIS OF NAMPA, WHO WAS THE WINNER OF THE RED SOX/MARINERS WEEK-END IN SEATTLE. SHE PURCHASED HER WINNING TICKET FROM HER GRAND-DAUGHTER WHO PLAYS WITH A 10U NAMPA TEAM. GALS CONGRATULATES YOU AGAIN AND HOPES YOU HAVE A GREAT TIME!!! GALS ALSO WISHES TO CONGRATULATE ALL THE OTHER RAFFLE WINNERS. THE GALS BOARD OF DIRECTORS WISHES TO THANK ALL THE TEAMS/PARENTS FOR THEIR SALESMANSHIP AND SUPPORT OF THIS FUNDRAISER. - If you find yourself repeatedly feeling like you have to let the official know he's made a bad call, sign up to officiate next season. - Consider what you look like on the sideline during the game. Kids sneak looks at their parents more than we realize, and body language speaks volumes. - If you have something to tell your child about her attitude, effort, support of teammates, or another issue, try asking for her permission. This will make her more open to your feedback. You might say, "There's something I've noticed you could do that would help you be a better teammate. Do you mind if I tell you?" If she answers "no", you must respect that and wait for other opportunitites. - Children who feel in control of their own development are more likely to have full Emotional Tanks. Put your children in charge of their own development as athletes. Let them know your advice is available for the asking. Then . . . and this is the hard part . . . don't offer it unless they ask. - Youth athletes have a special ear for their parents' voices. Realize this during games, and make sure what they hear from you is not conflicting with coaches' instructions and intentions. - Avoid yelling verbs. When you're watching a competition you should enthusiastically support all the players. Cheer their effort and successes, but if you are yelling verbs like "run", "throw", "kick", "pass", you are coaching. - Let your children enjoy the 'Romantic Stage' of sports, and resist the urge to rush them in to overly competitive settings too soon. - Great players have the ability to "leave it on the field." After the game, regardless of the result, move on to something else your child will enjoy. - Maintain a "Magic Ratio" of five truthful, specific praises for every one specific, constructive criticism. If you do, you will find out why it's called that, because children will be able to do things you wouldn't have thought posible. - Fill your children's Emotional Tanks. Like a car's gas tank, an empty Emotional Tank won't take us far, but when the Tank is full we can keep it running. - To excel, your children must love the game enough to work at it. Pressuring them to excel can sap that love. You can nurture this love of playing by noticing and recognizing them for specific things they're doing well. - Let your kids know that whether or not they win or lose, you will still love them and will be proud of them. Kids see how much their parents are investing (time and money) in their sports and they worry they'll upset their parents with anything other than victory. - It is the responsibility of players and coaches to try to win. You have a much more important responsibility: making sure your children draw from sports the lessons that will help them become successful, contributing adults. - When talking sports with your kids, keep it a conversation among equals. Get them to share their thoughts with you rather than telling them what you think. - Courage isn't the absence of fear - it's doing what is right in spite of the fear. Encourage your children to see scary situations as opportunities to develop courage. - Encourage your children to occassionally take risks on the athletic field. Without this, they might always be afraid to make mistakes and won't maximize their athletic ability. - When your child is really nervous before a game, ask her if she wants to go to the field where the game will be played and check it out ahead of time. This will give your child a sense of control and take some unknowns off the table. - Remember those growth charts that measured your children's height at different ages? Create something similar each sport season, measuring their progress. - Remember, research shows that athletes who receive positive encouragement, support and unconditional love from their parents tend to thrive. - Ideally, children will try multiple sports. Playing different sports is good for young minds and bodies. Help your child manage her choices so she doesn't become overwhelmed. Build in down time from sports to make room for other activities. - Have your child make a collage about a professional or college athlete that they respect. Then have them talk you through the collage. If you feel creative, make one too! Then you can see how much your thoughts and your child's match. - Help your young athlete to understand the value of a good opponent. Good opponents bring out the best in us. Model this attitude by talking about opponents respectfully. Never demonize the opponent as "the enemy". - Commit to conducting yourself by a code, which Positive Coaching Alliance calls 'Honoring the Game'. To remember components of this code, remind yourself and your children that Honoring the Game means respecting the sport's ROOTS, where ROOTS stands for Rules, Opponents, Officials, Teammates, and Self. - Let your child know you are OK with her not making a particular team. You may be disappointed FOR her if she doesn't make it, but you WON'T be disappointed IN her. This will take the pressure off and free her up to give her 'best effort'. - Talk with your child about her goals and how sports may help her achieve them. Recognize that your goals for her sports experience may not be the same as hers. Support her in striving to reach her goals. If the goals are all about skills or results, remind your child that "having fun" should be at the top of the list. - Ask your children's coaches if they have a coaching philosophy. If not, let them know you admire coaches who strive to win, while teaching life lessons through sports. - As soon as you know who your child's coach is going to be, introduce yourself, let him/her know you want to help your child have the best possible experience and offer to assist the coach in any way you are able (at practices or just handling paperwork or treats). Meeting the coach early and establishing a positive relationship will make conversation easier if a problem arises during the season. - Coaching your own child can offer some of life's greatest moments, though it requires a delicate balance between coaching and parenting. Make it clear to your child when you are in coach ' mode'. Be sensitive to favoring or penalizing your child. - To excel, your children must love the game enough to work at it. Pressuring them to excel can sap that love. You can nurture this love of playing by noticing and recognizing them for specific things thy're doing well. - Avoid having your children specialize in one sport too early. It can lead to burnout and overuse injuries, and perhaps worst of all, falling out of love with the sport. - To focus on the value of communication with your team, try asking your players to play without communication. They'll quickly learn how hard it is to play without communication. - and then watch how much more they communicate afterwards. - Use signature statements such as "practice like a champion" or "the fourth quarter is ours" to help establish and reinforce your team culture. - Avoid the obvious criticism. Players usually know when they've made a mistake. - Follow the three C's: have set consequences that are applied calmly and consistently. A coach becoming negative or getting visibly angry with players should be viewed as a sign of weakness and a lack of self-discipline. - Turn drills into challenges. Have players compete against each other (e.g. making the most throws), against the clock (most baskets in a certain amount of time), or against a preset standard (certain number in a row without missing). - Youth athletes should play multiple sports to develop different muscles and figure out which sports they most enjoy. Ask parents at the start of the season to list their children's their activities. - We encourage parents to refrain from post-game analysis with their players on the car ride home. But some parents can't help themselves, so fill players' emotional tanks to prepare them for that ride home. - Create special roles for your bench players, especially if you coach in an environment where playing time is not equal. Communitcate with these players frequently so they are ready to contribute when they enter the game. - The next time you're officiating your own team's scrimmage, intentionally make a bad call. Some of your players will react negatively. Call timeout and remind everyone to respect officials, even when disagreeing with the call. - Start practices in a way that signals to players that they are part of a team that has it's own way of doing things, it's own culture. Develop an opening ritual that gets players moving. A distinct opening ritual helps players make this transition from whatever has been going on in their day to practice. - While your players are competing, try to limit your instruction. It can be distracting. Instead, use trigger words, one or two word phrases, to remind them of previous instruction. - We define elite athletes as Triple-Impact Competitors -- they make themselves better,they make their teammates better, and they make the game better. Reinforce the value of those second and third impacts whenever possible to build character in your athletes. - Develop a written coaching philosophy. Write down a few things about what you value as a coach (e.g. talent development, having fun), and then write a paragrah designed to teach parents why your philiosophy is so important to their children's education. Share this with the parents before the season. - Before a game against a challenging opponent, tell your athletes that "Nervous is normal" and that feeling will never go away. Being nervous shows that you care about doing well for your teammates, so it's a good thing! As a coach, remind them that you don't expect perfection. All you want is their best effort. - Ask your athletes to visualize what will happen in the game, so they can become comfortable with performing in a "clutch" situation before ever taking the field. Either as a team or individually, have them close their eyes and guide them through this visualization right before your next competition. - Teach DIMITT (Determination Is More Important Than Talent) to athletes to reinforce the notion that they will be as good as they are determined to be. Tell your players that, more than anything else, it is the amount of effort they are willing to put into their sport that determines how good they can become. - You may have to search hard for a truthful, specific praise for your weakest player, but resist the temptation to offer empty, unearned praise. You can always find something truthful and specific that is positive about what your players do. - Help your players establish and strive for stretch goals. Stretch goals are just beyond a player's reach but can be achieved with effort over time. The best stretch goals are set by the player's themselves. - Catch players doing things right. This is harder than it sounds. You have to get into the frame of mind to ignore the little 'wrong' things so you can reinforce players when they do the right things. - Keep your reserve players involved by asking them to do Positive Charting (i.e., recording their teammates' positive plays), helping identify defensive shifts, etc. In addition to preventing those players from becoming a distraction, it will help prepare them to see the game differently when they return to action. - Before a game ask the official if they would like to speak to your team and/or your team parents. This show of cooperation sets the expectation of how everyone should respect the officials. - Implement "Positive Charting" recording positive efforts and plays during practices and games. List all your players with space to note two or three of their specific positive acts. - Hold a Winner's Circle after each game where teammates take turns offering each other specific, truthful praise. You speak last and make sure to recognize any players who haven't been singled out. - To remind players that Mistakes are OK, institute a 'mistake ritual' such as the "no sweat" motion of wiping your brow. Then when an athlete makes a mistake, control your disappointment and use your mistake ritual. - Help your players establish and strive for 'stretch goals'. Stretch goals are just beyond a player's reach, but can be achieved with effort over time. The best stretch goals are set by the player themselves. - One way to reinforce the value of effort is through an award following each practice or competition, such as a ball or a "Dirty Shirt" award for the players who hustle hardest. - Use the 'Buddy' system. Pair up your athletes during practice and challenge them tofill their buddy's emotional tank. You can make it a competition, and they can keep score of how many positive things they say to each other. - Redefine what it means to be a "winner" through a mastery approach to coaching. Instead of focusing solely on the scoreboard, explain the ELM Tree of Mastery for Effort, Learning, and Mistakes are OK, because mistakes help us learn, but fear of mistakes makes us timid and helps us fail. - Set "Effort Goals" such as running hard for contested balls, in addition to outcome goals. In this way, over time, if players achieve the effort goals, they also will move toward achieving desired outcome goals, such as winning contested balls. - Maintain a "Magic Ratio" of five truthful, specific praises for every one specific, constructive criticism. It's called the Magic Ratio because when coaches get close to it, magical things happen with their players. - Conduct a parent meeting as soon as possible after learning which players are on your team. Use the meeting to explain your approach to coaching, learn what your athletes and parents want from their youth sports experiences and to set expectations for athlete and parent behavior in the coming season. 10U STATE FLYER - HANDOUTS PAGE OF THIS WEBSITE. 18U STATE FLYER - HANDOUTS PAGE OF THIS WEBSITE. ON THE HANDOUTS PAGE OF THIS WEBSITE. CONTACT - caldwellgals@gmail.com with concerns/questions. Thank you. GALS will once again be hosting the MLB Pitch, Hit & Run Competition 2017 on Saturday, April 29th from 9:00 am - Noon at the GALS Quad in Caldwell. 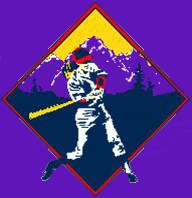 MLB PHR Registration Form (2 pages) and an overview of the competition can be found on the hand-outs page of this website. Competition is Free to ALL Girls age 7 - 14 as of July 17, 2017. Registration forms will be available on-site the day of competition as well. This will be held in conjunction with the annual 10U/12U Pre-season Jamboree. If you wish additional information, please contact caldwellgals@gmail.com. BOTH CAMPS AT MARSING HIGH SCHOOL SOFTBALL FIELD. SEE FLYERS/REGISTRATION FORM ON THE HAND-OUTS PAGE OF THIS WEBSITE. Following are contacts for the various groups under the GALS umbrella. If you do not see your city listed, check with your organizations Board and/or your city's Park & Recreation Department. Parents: A parent/guardian must be present for signatures. If you are NEW to the GALS organization, copies of birth certificates are required by ASA. Thank you. Both parenting and coaching can be quite a challenge at times. Having an understanding and a respect for both positions will help children have a better experience in sport. Ultimately, that is our job as a parent or coach - to provide an environment that protects and supports the pursuit of personal growth and excellence while enjoying the experience. Clear communication between parents and coaches can help all understand the position of the other and enhance the positive experience that can be gained from participation in athletics. Here are some guidelines on communication that you should expect from your child's coach. The first and most important step is to identify what type of coach this person is and what is their philosophy. In the early stages of development, the coach should understand how to teach the fundamental skills of the game, make the learning process fun, and will not put emphasis on wins and losses. As we move through the journey of athletics, there will come a time when the competitive atmosphere becomes a must, but not until the basic skills are taught and developed. Here is a good measure to understand the skill level vs. challenge and how they affect the athlete. We also need some basic information from the coach such as expectations and goals for the team, as well as goals for the individual players. Coaches should provide information on the location and time of practices and games, as well as team requirements. As a parent, you should be privy to these requirements and consequences for infractions. I recommend a meeting at the beginning of the season for coaches, parents and players to discuss these matters and get everyone on the same page. To make this process seamless and productive, coaches should expect the parents to communicate directly to the coach when parents have concerns, notification of any schedule conflict in advance, illness or injury as soon as possible. It is always appropriate to have a discussion with a coach if you have concerns regarding the treatment of your child, want to find out ways to help improve your child's experience, or concerns regarding your child's behavior, however parents should never interrupt an on-going practice or game to discuss these matters, but set up a meeting with the coach before or after a practice or game. Coaches must be able to make decisions based on what they believe is the best for all athletes. Areas that must be left up to the discretion of the coach are: Playing time, Team strategy, Play calling, and Placement of athletes on the field. In other words, common sense must be used by both parents and coaches to discuss concerns and always have the athlete's best interest. The most successful teams contain strong leadership, consistency, great communication, and players that improve and enjoy the experience. A key word that I find myself using more and more during practice and competitions is the word Energy. I sometime wonder if players truly understand the importance of energy and how the lack of it can affect the ultimate goal of playing as a team. You always hear that softball is a team sport that is played by individuals. We all know that the best team usually wins the competition and not the best individuals. Over the years, I have found how important the positive energy of a team can set the mood for performances that result in more success than not. How do we get our players to understand the importance of bringing that energy to the ballpark whether we are playing a game or executing a practice session? Softball provides many moments to become selfish or negative. After all we play a game of failure and the best players are not always successful. We all can remember a teammate or two that just had a bad attitude. When things are going well, they are great teammates - supportive, caring, positive, and engaged. When they go 0-3, make an error, give up a big hit, they tend to shut down and become selfish, negative, and disengaged from the atmosphere required for good teams to be successful. They take all the air out of the dugout, create tension in their teammates, and create an atmosphere that is never fun. Great teams are truly unselfish and there is never a weak link - ever!! If we are truly playing a team sport, it is important for young players to learn to control the controllable. We cannot control much that may happen in a game but we can always control our attitude, effort, and energy! After all, a player who continues to mope around after a mistake will guarantee thet they will continue to make mistakes. The greatest thing about high energy is you tend to not worry about yourself and you become more connected to just playing the game and your focus is intensely on the team. This state of mind allows you to play the game without fear and in a more relaxed state. After all, softball is a game of relaxed skills. The more relaxed you are, the more success you will have. Each player is responsible for the energy they bring to the team and energy should never go into a slump! If we will all understand that it takes a total team effort to win games, the day will come when we eliminate selfish concerns such as batting average, ERA, and focus on winning the At Bat, inning, game, and eventually that championship we all would like to experience. Energy is the greatest asset to creating a passion in life. We all know that to be great at something, passion is a key to finding success in life. I can honestly say that I have never known a highly successful coach, player, parent, or team that was not full of energy, positive thinking, and totally engaged. ENERGY is a wonderful fuel for life!! FALL BALL IS DESIGNED TO KEEP 14U AND/OR 18U PLAYERS CONTINUING TO WORK ON THEIR SOFTBALL SKILLS IN PREPARATION FOR HIGH SCHOOL SOFTBALL. FALL BALL BEGINS iN SEPTEMBER WITH ALL GAMES PLAYED ON SATURDAY'S THROUGH MID-OCTOBER. DEADLINE FOR A TEAM OR INDIVIDUAL PLAYER IS AUGUST 25TH. CONTACT DON ATKINSON, GALS VP AND FALL BALL DIRECTOR, IF INTERESTED AT #208-697-1683 OR IF YOU NEED ADDITIONAL INFORMATION. Everyone listed above has qualified for sectional competition on May 20 at NOP Park/Bannock County Baseball Complex, 700 West Eldredge Road in Pocatello. Competition starts at 12:00 PM(noon). Arrive early to register. You must bring your birth certificate. Thank you to all participants in the MLB Pitch, Hit and Run competition. The winners can be found on the Handout attached. Congratulations to the winners of the competition hosted by GALS. Winners can pick up their championship certificates at the GALS Quad concessions stand. Regional competition is June 2 in Pocatello. Winners can contact us for more information about attending Regionals. Once again, congratulations to the winners on your performance.